No fiber lets the body breathe better than wool. It insulates the skin from cold and heat, and thereby helps the blood circulate better. It is hyper-allergenic and causes no breathing problems. 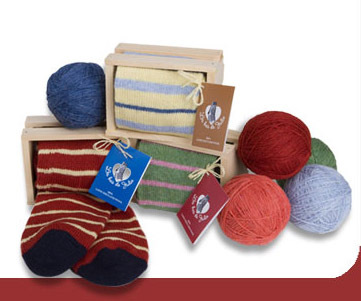 Wool is soft, long-lasting and ideal for fighting mildew and dust mites. The wool sheared from a sheep's neck and shoulders is so fine and so soft that socks and even clothes for babies are made of it!